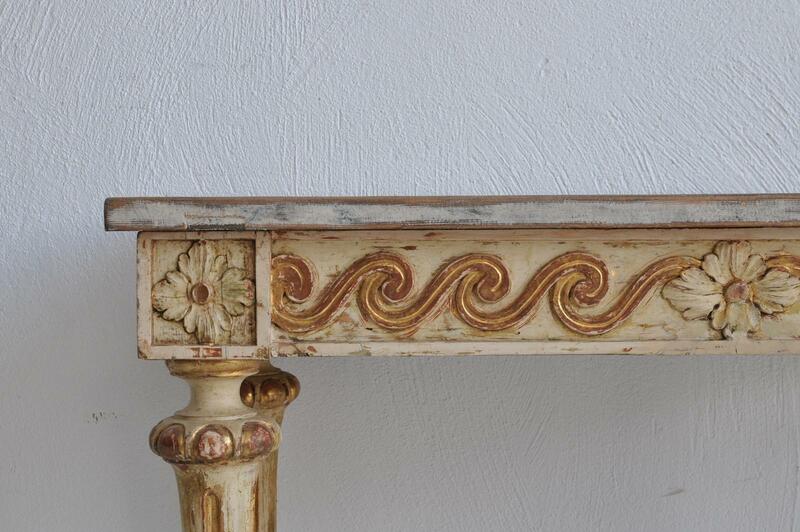 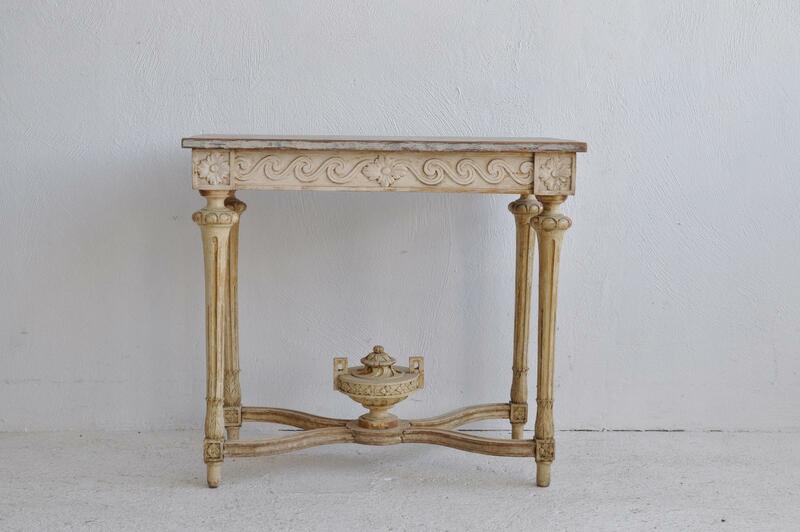 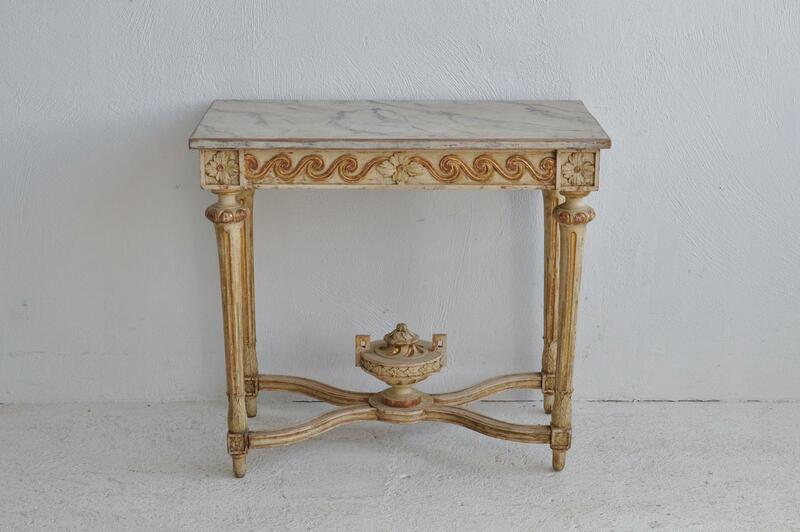 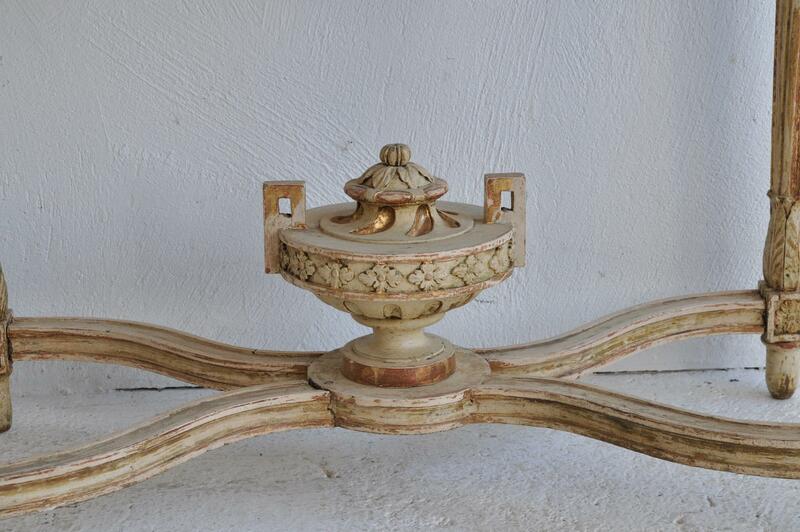 A period Gustavian console table. 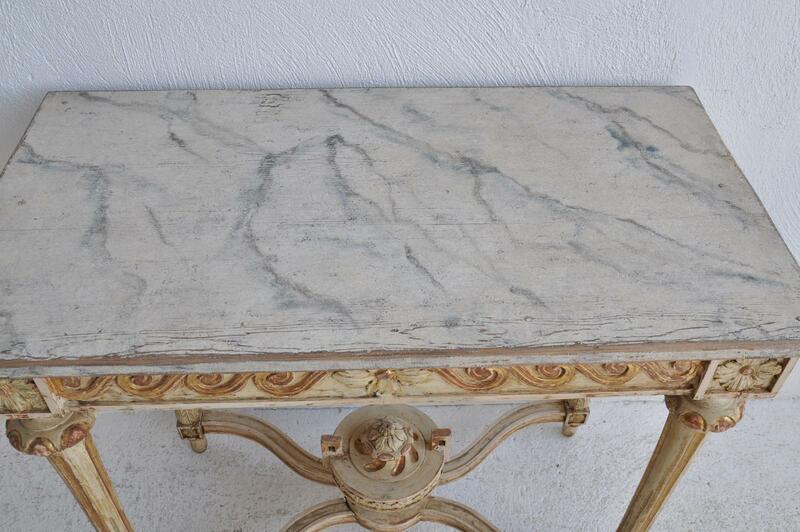 Base with origininal surface. 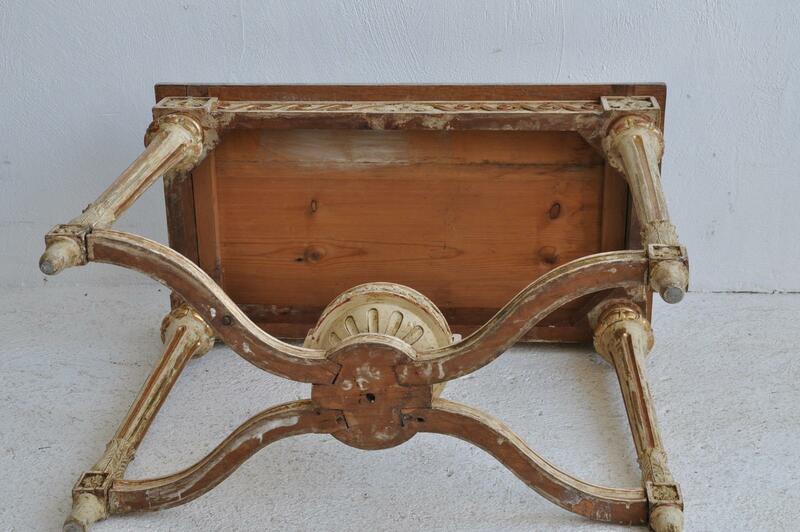 Later made wooden top.